Cat Tales and Paper Trails: Growing in Unity: Day Three! Growing in Unity: Day Three! Welcome to Day 3 of my Growing In Unity Week! Thanks so much for all the sweet comments. I really do appreciate that you take the time to send a comment. Today I am sharing two cards that I made with the stamp kit, Another Name for Love. This is a recent release that was designed by Gina Krupsky from Gina K Designs, especially for Unity Stamps. Gina is a very good friend of mine, and I was thrilled to go visit her just two weeks ago at her store in Wisconsin! I love peonies. And I love this new set. 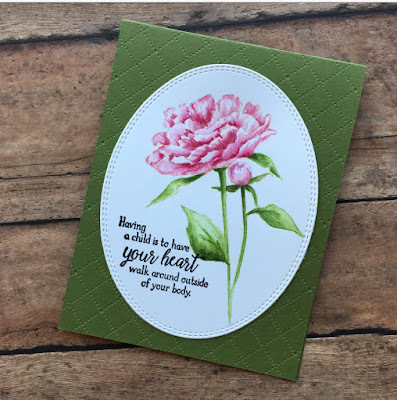 The sentiments are gorgeous and the peonies and that butterfly are amazing. 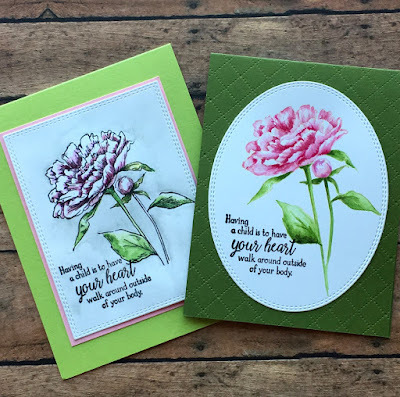 I used the peony image and my Zig Clean Color brush markers to watercolor two similar but very different cards. 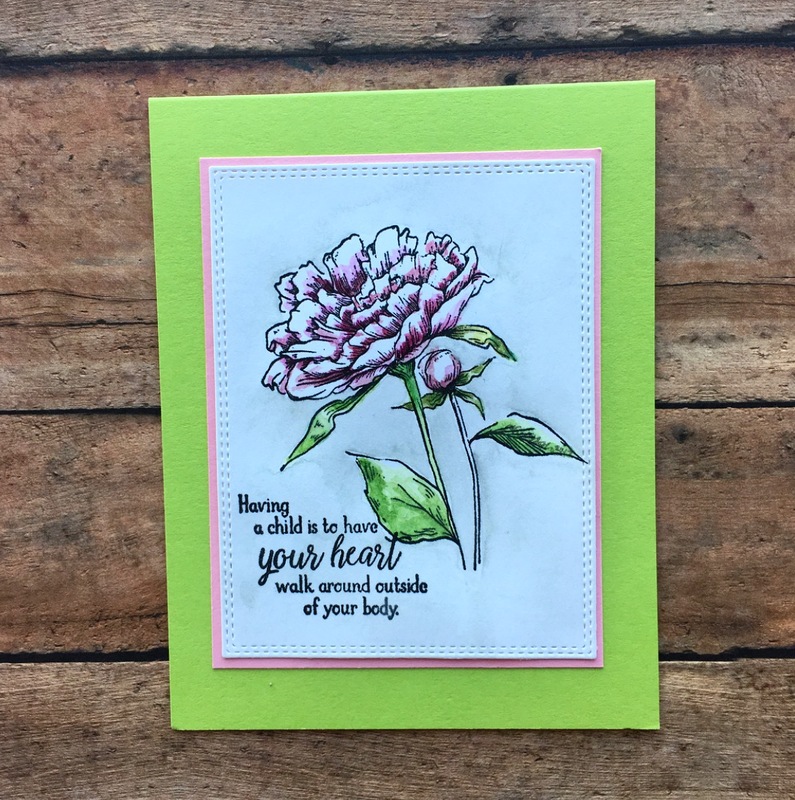 One is a very pale white and pink peony with a light watercolor washed background. I wanted to paint loosely, but honestly loose just never seems to work well for me. I have such a hard time letting go of the control! Thanks for stopping by again today. Don't forget to leave a comment to be entered in the drawing for one of two prize packs of 20 random Unity Stamps! I'll be back again tomorrow for Day 4! Such beautiful flowers. 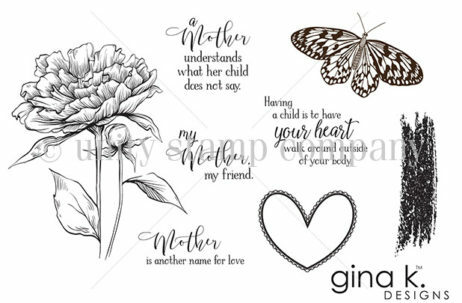 This is a great stamp set, and your coloring is amazing. Your colouring is stunning, and the die you used for your base is just perfect! Love them both! Both cards are stunning. You did an amazing job on both of these! 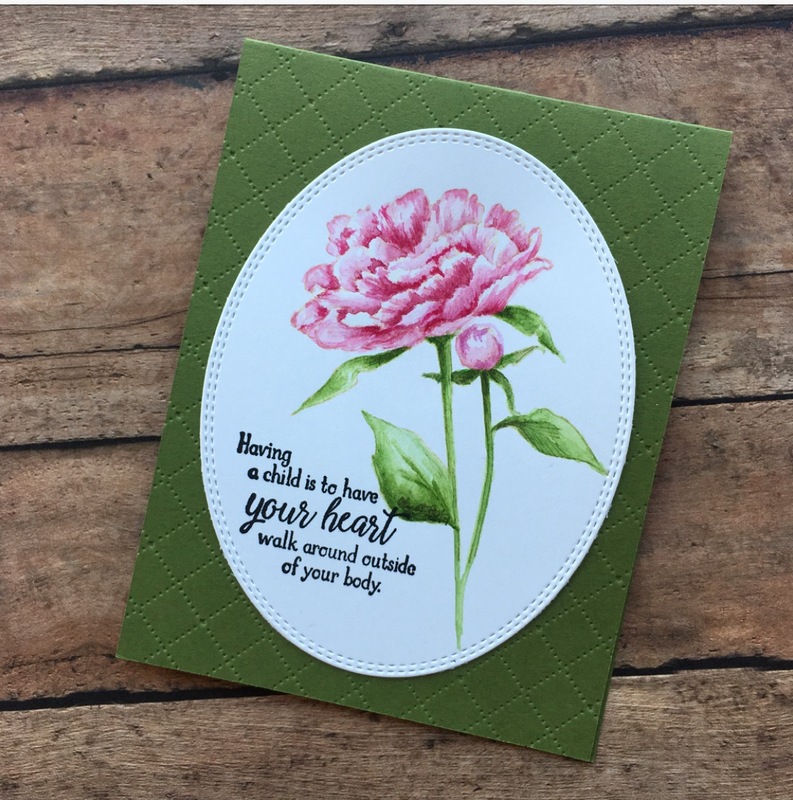 I too love peonies and your examples certainly get the creative juices flowing! Oh, I'm so kicking myself for not getting this set when it was released! Both cards are gorgeous, and I love that you stretch yourself to do things that feel a bit uncomfortable. These are so beautiful! Love the coloring on these pretty peonies and the lovely sentiments! Coloring is beautiful... flowers look real! So pretty. I agree with Kathryn. It looks like you could pick these flowers. Both colors are fabulous! This is a lovely set you used. Both of your cards are beautiful Chris. I love peonies. I just got thus set, can't wait to use it. these cards are so elegant! I can't wait to get this set! It is on order! Loved the textured background on the green card and the water color background was beautiful too. You make beautiful cards! Thanks again for sharing with us. So beautiful! I want this set so much.... Thanks for sharing your talent! Beautiful as usual. I have had my eye on this set. Your amazing coloring makes me want it even more. These are beautiful! And Gina K and Unity are such a perfect match! Awesome coloring and layout highlighting an awesome Gina K and Unity stamp set. Well done! Wow these are so nice. I'm inspired by you and really want to learn how to watercolor. These are lovely examples of your work. I have trouble with the loosey goosey painting. I always think it looks good when others do it, and it looks messy and kiddish when I try. Both of the flowers are gorgeous! These are gorgeous! Love that set. Beautiful as always! I really enjoy your second card. Oh my goodness, these are truly stunning!!! So beautiful! I luv this stamp set! Your work is amazing! Thanks for sharing! Your coloring is beautiful! I love peonies, but hadn't noticed this set. You make them look so awesome! Your coloring is beautiful, on both cards! But I must agree with you, I like the brighter pink one better as well. It just looks more polished. Plus, I love the embossed background (I love embossing!). TFS your lovely cards with us today. Lovely! I so get that control thing and suffer from the same problem, however, your results are always so grand. I liked how you did two different cards, the same but different. Awesome. Gorgeous! Love the cards & that stamp set! I love how you show the same stamp with two different looks. I love Gina K too and mine just came in the mail yesterday, so lookout this weekend. I love both of these cards. Both beautiful, good job! Beautiful cards, I especially love the pink version. Beautiful! Love this flower stamp! Once again just lovely. This kit is perfect to showcase your coloring talent. Beautiful job! You make me want to break out my flower stamps. I think both cards are beautiful. Oh those are gorgeous cards. Love the new Gina K set. Such a beautiful floral image and lovely watercoloring!! I think my fave is the brighter pink one. Both are just wonderful!! These stamps are so pretty and make such beautiful cards! I have not ventured into the water coloring techniques yet, but I do feel like I am closer than I was! Thank you so much! Such beautiful cards! I really love how different you made the same stamp look!! !